The International Monetary Fund said on Tuesday that it expects China’s economy to grow 6.3 percent in 2019?up 0.1 percentage point from its prediction in January. Analysts said the world’s second-largest economy is set to remain stable as authorities continue to implement supportive policies. The latest World Economic Outlook, released at the start of the spring meetings of the IMF and the World Bank in Washington, also predicted the United States economy would grow 2.3 percent this year, 0.2 percentage point lower than the IMF’s earlier forecast. The outlook for China falls within the range of the country’s targeted goal of securing between 6 percent and 6.5 percent growth for this year, and is very close to that of Chinese researchers. On April 1, Zhang Ping, a researcher at the Institute of Economics of the Chinese Academy of Social Sciences, said China’s GDP growth should remain at 6.2 percent in the first half, and average 6.3 percent for the whole year, thanks to incentives including tax and fee cuts. The overall outlook for emerging Asian economies remains favorable, with China’s growth projected to slow gradually toward sustainable levels. It predicts the country’s growth will moderate to 6.1 percent in 2020. 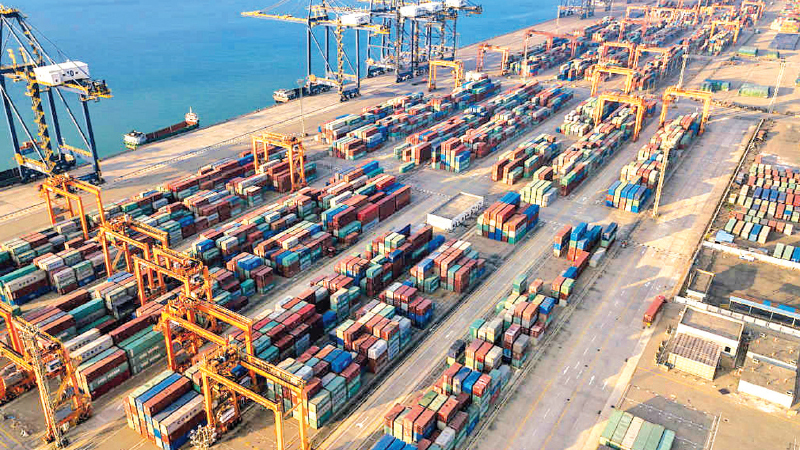 “As China increased its growth stabilization policy efforts, its economy has shown signs of stability in the first quarter and may further consolidate in the second,” Cheng told China Daily. China’s business activity revived and beat market expectations in March, with the manufacturing purchasing managers index return-ing into expansion territory after three months of contraction, according to the National Bureau of Statistics. “Growth resilience may surprise on the upside in more aspects,” he said, adding that besides a growth rate within a reasonable range, the economy is likely to register accelerated progress toward higher-quality development this year amid a new round of reform and opening-up. “Structural opportunities (in the capital market) may continuously emerge from the development of the new economy and mass consumption upgrades, fueling the long-term inflow of international capital,” he said. IMF Managing Director Christine Lagarde said in a recent interview with China Central Television that China’s economic development now allows for “a focus on quality growth”, rather than necessarily quantity growth. “And China’s development is clearly at the stage where it can afford and should afford to do that,” Lagarde said. Over the past year, amid the escalation of US-China trade tensions, credit tightening took place in China, macroeconomic stress was seen in Argentina and Turkey, disruptions to the auto sector occurred in Germany, and financial tightening in larger advanced economies have all contributed to a “significantly weakened global expansion”, said IMF Chief Economist Gita Gopinath. “With this weakness expected to persist into the first half of 2019, our new World Economic Outlook projects a slowdown in growth in 2019 for 70 percent of the world economy,” she wrote in a blog on Tuesday. “This recovery is precarious and predicated to rebound in emerging markets and developing economies, where growth is projected to increase from 4.4 percent in 2019 to 4.8 percent in 2020,” Gopinath said.